Sometimes you just want to sew something simple... something pretty. I got the urge to make a quick, pretty patchwork and clear out a little stash last week. Usually with projects like this my first step is to find a fabric I like with several colors in it, then pull fabrics to match those colors to fill out the quilt. 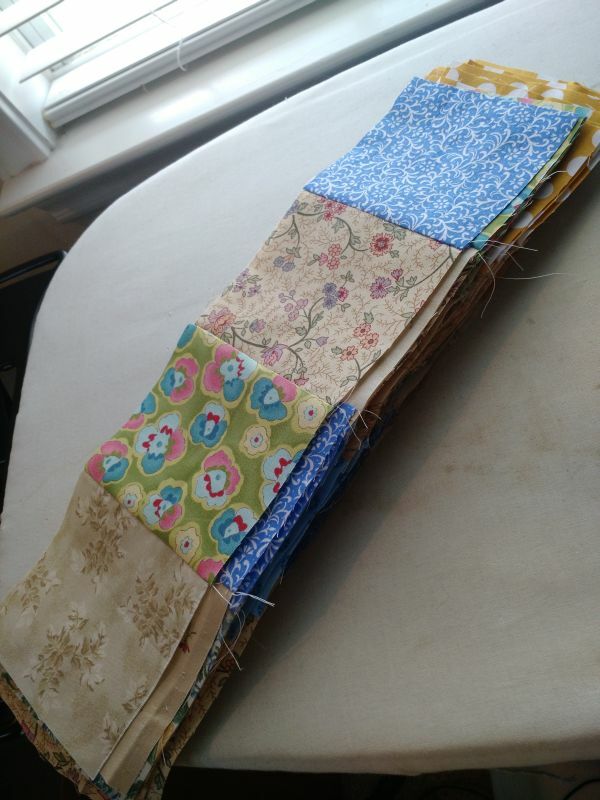 I used my AccuQuiltGo to cut 4.5" strips and strip-piece 16 patches. The strip piecing used up some remnants from my stash and made a quick top for Covered in Love. What have you been sewing for charity lately? I really love simple patchwork. There's something soothing about little squares, all in neat rows. Pretty colors in this one! Was the pansy print with the green background your inspiration fabric? 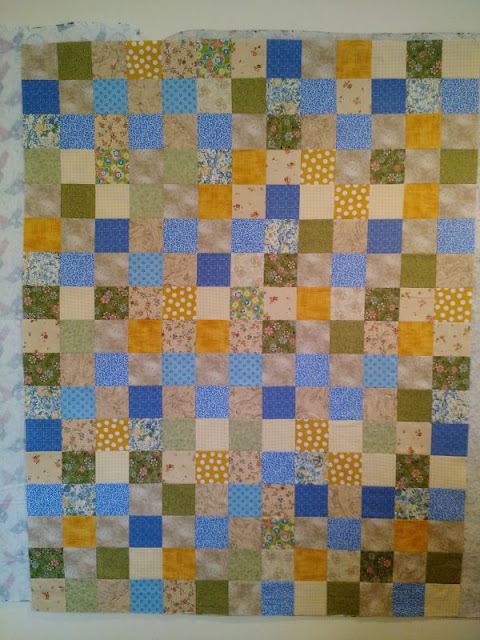 I love the simple pretty patchwork you've put together here. It's very calming.. I agree! There is something to be said for sewing squares together. Sorry! Nothing to link up this week. Hoping to deliver my Police Quilt next week.